I have been diving since I was 8 years old and now I’m PADI MSDT and Full Cave Diver. 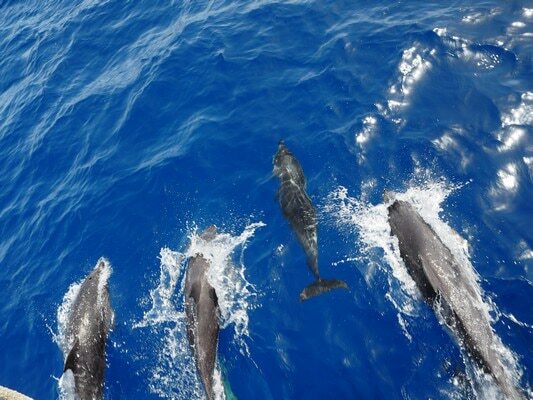 Wall or drop-off diving is amazing with the incredible views and big pelagic fish passing by. Lanzarote is a beautiful dive destination with lots of life and different species, with stunning drop-offs, wrecks and different dive sites and, of course, we have famous Museo Atlantico. The waters around the island offer a big diversity with small macro life like the seahorse, nudibranch and more, to the bigger life like the Angelshark, different kind of ray types and types of dolphins and whales. 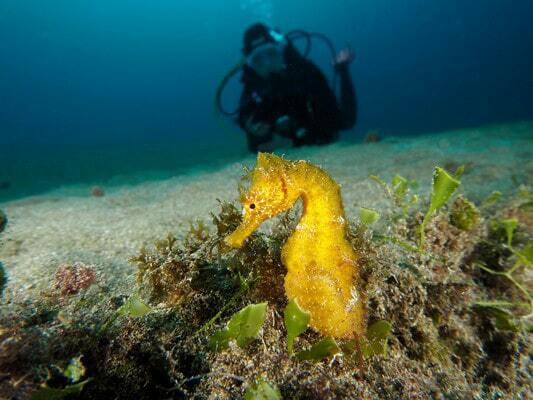 Lanzarote is also very interesting for the non-divers, which makes it a perfect destination for the whole family. 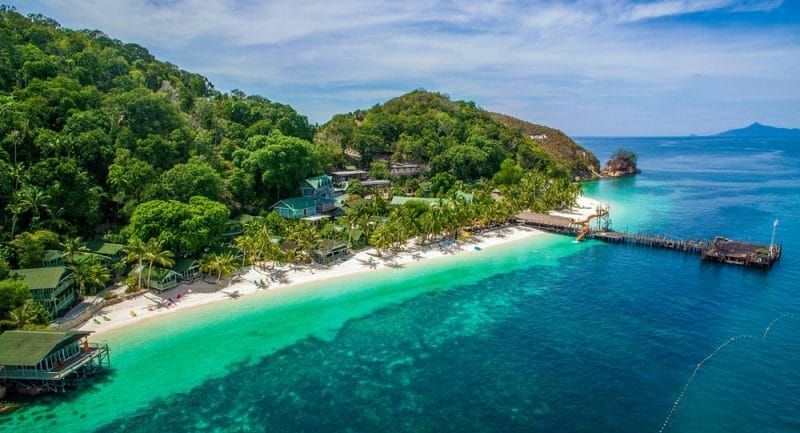 In front of the dive centre there are five dive sites which are very nice because they are all drop off’s and walls, with, at the start, sandy areas where we encounter bigger life. Easily accessible and starting from the dive centre makes it very comfortable. 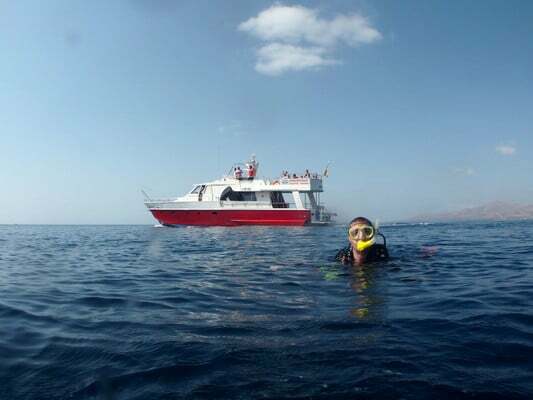 Shore, boat, wreck, cavern, drop offs and many more, which makes the island very attractive with varied types of diving. When people are coming out of the water with a big smile on their face talking about the awesome encounters they saw underwater. 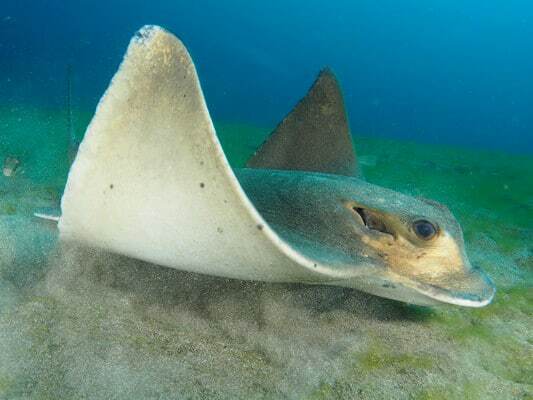 My favourite animal here in the Canary Islands is the Angelshark; they are unique because they are living on this planet already for 150 million years. They look very ancient but also elegant. We can see them here during mating season and in spring time we find juveniles on our night dives. In front of the dive centre they are renovating the Fariones Hotel which is going to be a 5+ star hotel and should be finished this year. We hope we will get some more customers who will only have to walk across the street to get to their dive centre. There are no really big problems that we face at the moment. 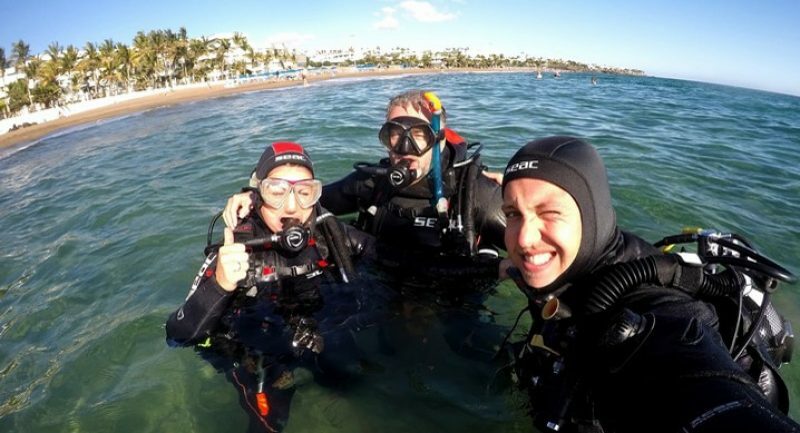 We are always trying to find a better way to make the diving more easy, safe and logistically so the client can enjoy their diving in the best way. We organise regular clean up days. The biggest problem with trash over here is that the wind comes from the other side of the island and goes towards the sea. What happens is that the trash that is on the streets sometimes gets blown into the ocean. But every day they clean up the streets, the trash is minimal, and when we find trash we always try to take it with us. For us as a family it is not only a job. For us it is also a big passion. Every day that we go in the water we are enjoying being there. In my eyes, everybody in the industry should see it this way. The enthusiasm will reflect back in the results towards the customer. 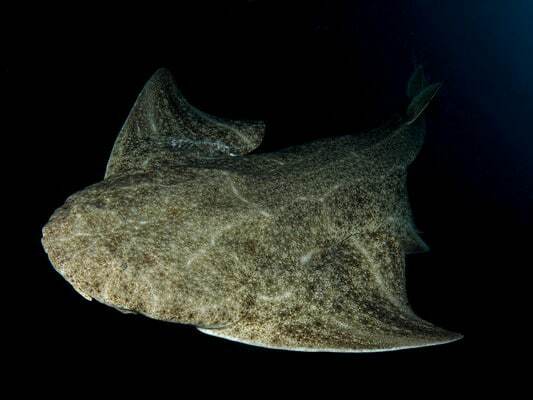 You have to come and see the Angelshark with us here at Lanzarote! The doors are wide open at our dive centre and the coffee, tea or water is always ready for you. 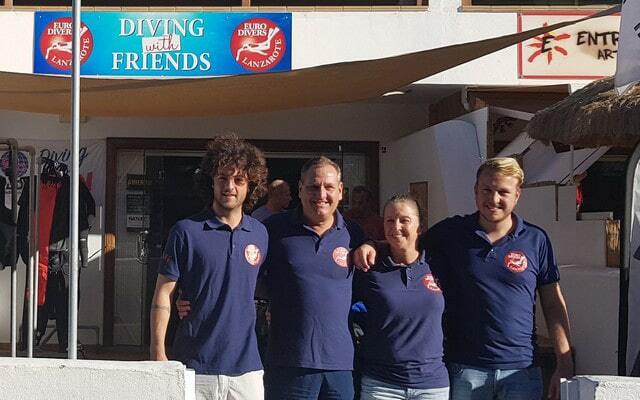 Hopefully I will see you soon in Lanzarote so we can make some amazing dives!